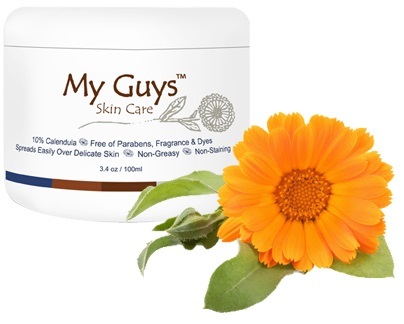 MyGirls - Foley Medical Supply Inc.
My Girls Skin Care and now My Guys Skin Care are plant-based and contain a unique combination of calendula and rosemary, natural herbs known for controlling redness and inflammation. Both are considered by radiation oncology nurses and patients to be the best creams to use during radiation therapy in terms of their benefits on the skin, non-greasy feel and ability to absorb quickly without staining clothes. Many patients continue to use after radiation ends as a daily all-over body moisturizer to soothe dry, cracked, red skin and help maintain the natural moisture balance and beauty of healthy skin. How Can I Reduce Skin Side Effects of Radiation Therapy? Radiation dermatitis is one of the most frequently observed acute side effects of radiation treatment. It can have a negative impact on quality of life and can cause delays in treatment. The current standard of care varies and is often based on anecdotal evidence. Most departments use a petroleum based gel. 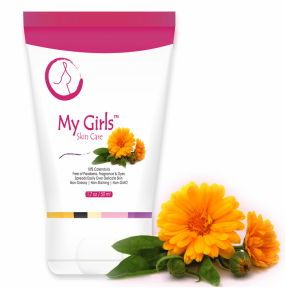 Calendula lotion is a less frequently recommended skin product. In a two year skin test conducted by The Cleveland Clinic, radiation oncology nurses sought recent research demonstrating significant effectiveness of calendula cream compared to petroleum based gel in decreasing radiation dermatitis to support a change in practice. The result was that patients found calendula products to be non-greasy and easy to apply with an 85% patient satisfaction over petroleum based gel on intact skin undergoing radiation therapy. Key ingredients of Calendula and Rosemary, natural herbs with anti-inflammatory benefits, are also useful with reducing redness associated with rosacea and ezcema.